When your commercial heating, cooling or ventilation system needs service or repairs, contact American Refrigeration Inc. We provide honest and dependable HVAC services to customers in the Eugene and Portland, OR areas, and are able to handle any repair, no matter what type of system you have. When your business needs dependable and highly skilled assistance with commercial HVAC in Eugene, OR, let American Refrigeration Inc be the first place you call. As a proud provider of quality HVAC services in Eugene and Portland, we’re able to offer any type of repair you need, no matter your system. We also provide services in a variety of specialized environments, including medical facilities and wineries. American Refrigeration Inc has a team of EPA-certified technicians committed to providing only the finest services, so you can always enjoy peace of mind when you call us to handle your HVAC repairs. 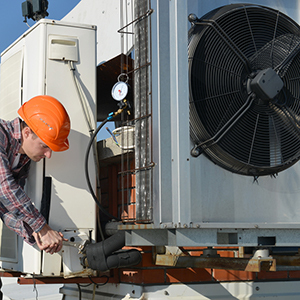 We offer top-notch commercial heating, cooling and ventilation services. We work with safe, dependable products and brands to ensure high quality work. We can work on a wide variety of systems, and will happily install or service any equipment you get from us. We’ve been a proud local business for 20 years. Our pricing is always competitive and honest.